Want to be hired by Kal? Our company is the largest independently owned tire dealer in Canada. Our 240 locations offer clean and safe work environments encouraging a motivating and fun atmosphere. We are looking for relentless problem solvers who not only have strong technical skills, but who are also good communicators and thrive in the service industry. •You hold a provincially recognized trade’s ticket and have experience in front end brakes, shocks and wheel alignments. moving constantly throughout your shift. •You can confidently inspect, diagnose, adjust, service and repair a wide variety of vehicles. •Assist in identifying potential mechanical sales with team members. •You have a strong passion for people and understand the true value of good customer service. •You are methodical and patient in your approach; you have a keen eye for detail. •Safety is paramount – you contribute and adhere to a safe and environmentally responsible workplace. •Supply and maintain personal tools. •Competitive wages, with benefits, while gaining fundamental business knowledge. •Working with a Well-Established Company – Kal Tire has been in business since 1953 and currently has over 240 store locations across Canada. Continued expansion plans lead to career advancement opportunities. •Profit Sharing – Significant additional income can be obtained through our highly competitive profit sharing program that recognizes individual and team contributions. •Technology – We grant everyone access to the newest tools and technology in both the automotive and business sectors, allowing all of our team members to gain the newest skills in today’s market. 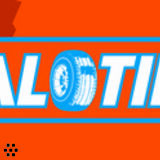 Kal Tire welcomes your interest in the Automotive Technician opportunity. Interested applicants are requested to submit their resume to Candace Maloney at ...@....com indicating Automotive Technician in the subject line. We thank all applicants for their interest, only those under consideration for the role will be contacted.